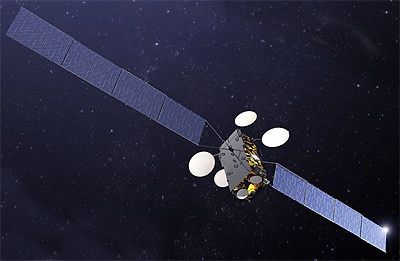 Brazilian state-owned telecommunications services provider Telebras has selected in August 2013 Thales Alenia Space of France and Italy to build the SGDC-1 (Satélite Geoestacionário de Defesa e Comunicações Estratégicas, Geostationary Defense and Strategic Communications Satellite) X- and Ka-band satellite for military and civil use. Based on Alcatel Space Spacebus-4000C4 platform, the SGDC satellite is expected to weigh no more than 6,000 kilograms at launch and to operate at 75° west in a geostationary orbit. The satellite was launched in 2017 on an Ariane-5ECA booster.